Another year, another Ramadan. It’s Allah’s greatest blessings that He made the month of Ramadan as the greatest of months and a catalyst for our spiritual change. In this article, we discuss how scientifically proven steps can help us cultivate a lasting change that continues even long after Ramadan. Allah subuhanawuta’ala’s Mercy and Magnanimity are beyond any measures. He didn’t just make Ramadan the greatest and the most magnificent Month of the year for us to achieve Eternal Success, but He also chains up all the whispering troublemakers (i.e., shayateen – devils) so that we can fully focus and successfully graduate from this yearly training camp. So, Ramadan becomes an ideal month for any who aspires to change his spiritual condition and to become a better person. Without the whispering troublemakers, Allah subuhanawuta’ala makes change easier for us. Being a slave of Allah and a lover of science, I want to combine the best of both worlds to help you get rid of those bad qualities you’ve always been wanting to shed off. Whether that is gossip, jealousy, anger or any other heart-related sins that you want to get rid of for good, this piece of article may be a great help, bi’idnillah! As a Nutrition and Exercise coach, I work with 100s of clients to help them change their lifestyle. However, getting rid of our own sins and replacing them with good qualities isn’t as easy as changing our lifestyle. 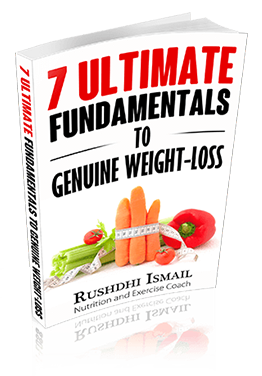 Before we discuss the 6 scientifically proven steps, you need to understand that this change is hard and requires 100% commitment from you. If you aren’t serious, you won’t see any changes. But if you are serious, this will be Insha Allah truly a game changer. Besides commitment, here are the two most important ingredients you need to succeed! Du’a– It’s the month of du’a, so make sure you make as many du’as as possible for the desired change. With Allah’s help, even the hardest thing becomes super easy! Consistency – While traversing on this journey of change, you’ll inevitably fail. But that shouldn’t be an excuse to give up. For every attempt you make after failure, you’ll be rewarded by Allah if you are doing it for His Sake. There’s an old Japanese saying that explains the concept of commitment and consistency in just four words: “Fall seven, rise eight,” i.e. no matter how many times you get knocked down, you get up again. Even if you should fall one thousand times, you must keep getting up and trying again. If you want to achieve anything meaningful and of real worth, you need to struggle and persevere. There aren’t any shortcuts or quick fixes for real success. What is the change you aspire to make? What is it exactly? Most of us want to change something, but we are vague about its details. That which you wish to change should be clearly defined with easy to execute steps. Let’s say you’ve decided to give up the evil habit of gossiping. Now, writing “no gossip” on a piece of paper as your Ramadan goal isn’t going to help you much. First and foremost, “no gossip” is a negative goal and it’s hard to implement. It’s like me asking you NOT to think of a white elephant. The first thing that will come to your mind will definitely be a white elephant! Our brain can’t understand such “negative goals,” hence it becomes very difficult to implement. So, if you’ve got a negative goal, make sure you replace it with a positive and actionable goal. Now, this new positive goal is actionable. Whenever a bad thought comes, you know that you are supposed to think and talk good about others or just be silent. The intention, i.e. the why behind what you want to do, is very important if you are serious about a lasting change. The stronger your why, the easier becomes the way. In the famous hadith, “Deeds are based on intention…,” Prophet (SAW) clearly says, “Everyone will get that what was indented,” regardless of what that intention is. So, if your intention is strong, you’ll get what you want. So, set your why, and the how becomes easy! If you want to learn more about setting your why, read this article. Okay, great, you’ve now your goal and defined why you want to do it. As a third step, define your how, i.e. write down every possible way through which you can achieve this goal. Going back to our “no gossip” example, brainstorm when and where and how you gossip. Write down everything on a piece of paper. For instance, talking to a certain person leads you to gossip. What can you do to avoid it? So, it’s time to create your roadmap. When will you do what? Break it down. Map it out. It is crazy how simple plans increase performance by a ton! And most importantly use the IF… THEN principle. At its basic, the principle is this: You identify the potential obstacle and plan in advance how you’ll tackle that obstacle. IF… THEN principle is a very powerful tool that is designed by the famous psychologist Peter Gollwitzer. Use it and you’ll see how simple, yet powerful, it is! You are a product of your environment. So, if you want to leave a sin or create a change in your life, it’s always worth looking at your environment first. Most probably, your environment is conducive to the sin you currently commit. Unless you change the environment, any lasting change is very difficult. You may recall the hadith about the man who killed 99 people. What was the fatwa given to him? To change his environment and to go to a far place, as he was living in an evil place. When you want a plant to grow and flourish, you know that it needs the right environment to do so. Likewise, if you want to grow and flourish, you need an environment that is supporting and helping. Part of your environment is to create such supportive people. So, whatever change you are longing to undertake, make sure you’ve got the right people around you who are supportive of what you do. So, decide what you want to track and then track how well you do on a daily basis. Especially for Ramadan, I’ve created a simple tracking sheet you and your family can use. Here is the link to download! The tracking is pretty straightforward and simple. Every time you gossip (despite your attempt NOT to do it), put an X on the sheet. The more X you’ve on the cell, the worse the day is. The goal is obviously to have as fewer “X” as possible. Doing this on a daily basis, you can compare whether you are improving or not. Now, it’s time to reward yourself for the progress you make. Small rewards can go a long way towards a lasting change. The reward can be anything that pleases you. It can be a positive word, money, experience, or a just a material thing. But make sure that you define the reward before you start to track your progress. For instance, you can say, “If I take less than 10 X on the progress chart after a month, I’ll reward myself with $100 (or a trip to somewhere, or whatever that is enticing to you). Immediate reward: When you catch yourself talking only good about others (and avoiding gossip at any cost), say to yourself silently, “That’s like me!” This way you are creating a positive self-image of yourself. The more you feed your brain with “that’s like me” experience, the better your self-image becomes. This ultimately leads you to the change you want, bi’idnillah! Short term reward: Every week (or in this case just after Ramadan), see how well you’ve progressed and reward yourself accordingly. I’ve listed and simplified the six big steps you need to take to make a viable change. Now it’s your turn to follow them. So, please go ahead and take action! During last Ramadan, a South African Radio station “Radio 786” interviewed me. The primary objective of the interview was to discuss seven health lessons one can learn from Ramadan for the rest of the year. I sincerely hope that this interview is highly beneficial to the listeners. It’s important to note that this was my very first Radio interview, I guess you’ll overlook the shortcomings in the interview ☺. Please listen to the interview and feel free to share your feedback. 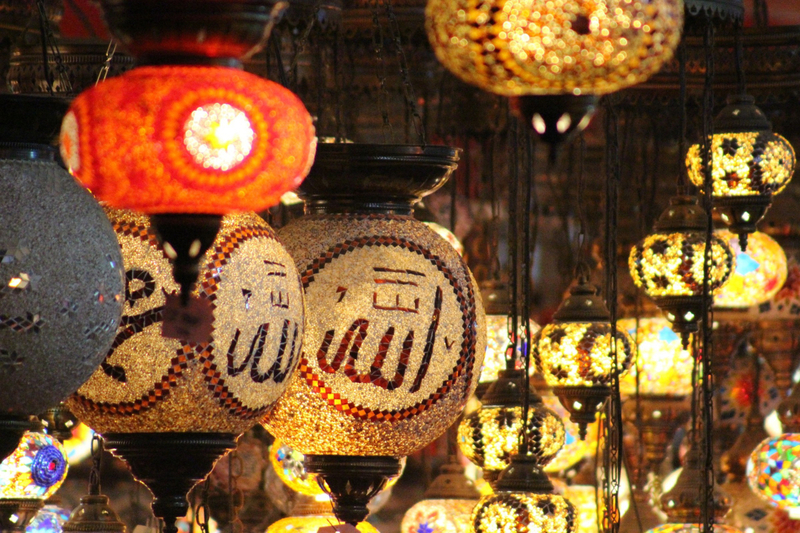 Do You Make These 5 Mistakes in Ramadan? Ramadan is an excellent time to improve every aspect of your life, especially your physical and spiritual health. If you would like to improve your physical health, and thereby increase your spiritual productivity during this blessed month, then avoid these five mistakes. Missing suhoor means that you’re missing out on some great blessings (barakah). The void of these blessings leads to lethargy and increased unproductivity throughout the day. For your body to function, it needs fuel. So eat your suhoor even if it’s a small portion. Another implication of this hadith is this: when something is blessed, even a small amount of it results in increased satisfaction. Don’t get me wrong, waking up for suhoor is difficult, but its health benefits are incredible. This point leads to the second mistake most people do. When you eat too much, your body becomes busy digesting the extra volume of food by sending most of the blood supply to your stomach. Because your blood supply has become localised, the lack of blood circulation to other body parts takes its toll on your body. This leads to sluggishness and the usual “Ramadan tiredness”. Eat slowly by chewing every morsel at least 15 times. If there is one simple change you can make to improve your health in Ramadan, then it’s avoiding deep-fried foods at iftar. It’s the worst choice of food you can have at iftar. You should avoid fried foods because fasting is a form of detoxification for your body. After such thorough detoxification, all your body wants is nutritious food to reenergize your body, not junk food to destroy the long process of detoxification. Imagine spending an entire day cleaning your house and then throwing a bucket of dirt in your living room. Not a wise idea, right? Eating deep-fried foods at iftar is similar to throwing dirt in your body. After a long fasting day, deep-fried food causes more harm to your body than it does good. Most of these foods can cause irritable bowel syndrome, heartburn and other discomforts. They also make any activity following iftar difficult (e.g. taraweeh). If you can’t live life without your deep-fried foods, then have a small portion of it after eating your vegetables and proteins. As you prepare your meal, use only unrefined coconut oil instead of other oils for deep-frying. When vegetable oils are exposed to high heat, they can form harmful compounds. But oils that consist mostly of saturated (such as coconut oil) and monosaturated fats are stable at high heat and don’t form such toxic compounds. Research studies have shown that even after long hours of continuous deep frying at 180°C (365°F), the quality of coconut oil does not deteriorate. Lack of sleep often leads to mood swings and irritability. Scheduling naps during the day is the easiest and most efficient way of freeing yourself from this predicament. Naps can be as short as 15-20 minutes. Even if you don’t fall asleep, just closing your eyes helps you to revitalise your mind and body. I work out 3-4 times a week in Ramadan, as do my clients. One of the best things you can do to improve your health is to work out an hour before iftar. In my recent Ramadan Health Guide FREE eBook, I’ve outlined the details and benefits of exercising while fasting. May Allah subuhanawuta’ala grant you and me the ability to improve our physical and spiritual health in this blessed month. Alhamdullilah, in just a few days we are reaching the blessed month of Ramadan. SubhanAllah, just uttering the name fills me with excitement and fear. May Allah subuhanawuta’ala protect us from the Eternal Hellfire! These words of our most beloved Prophet Muhammad (PBUH) may sound quite harsh, after all, he has been sent as a Mercy to mankind. But in the reality, there is an important reason for this rhetoric. If you think about it, Allah subuhanawuta’ala bestows upon us the month of Ramadan as means of changing our lives positively. The amount of training Allah subuhanawuta’ala grants us through Ramadan is truly mind-boggling. The month of sacrifices and most importantly the month of du’a! And, on top of all these things, He chains up all the whispering troublemakers (i.e., shayateen – devils) so that we can fully focus and successfully graduate from this training camp. Missing out on attaining the forgiveness of Allah during this Blessed month is a grave mistake to make. Especially when we are given so, so many opportunities during Ramadan to seek His forgiveness and to be saved from the Hellfire. So it’s clear, we have got to increase our religious productivity, i.e. our ‘ibadah in the month of Ramadan to achieve real success. Religious productivity in this month is certainly at the top of the priority list. Productivity does not just happen; instead, it has to be planned for and definite arrangements have to be made. So, if you are really keen on increasing your religious productivity in Ramadan, you have to pay attention to certain things, such as your meals, activity, sleep routine, etc. I am not your spiritual coach, so I am going to allow the scholars to play their part in this respect. 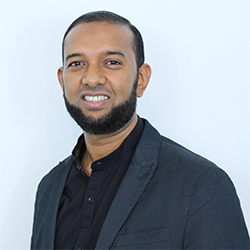 However, being a Muslim nutrition coach, my goal is to provide the vital nutrition, exercise, sleep and energy management techniques to help you achieve your ultimate religious productivity this Ramadan, bi’idnillah! 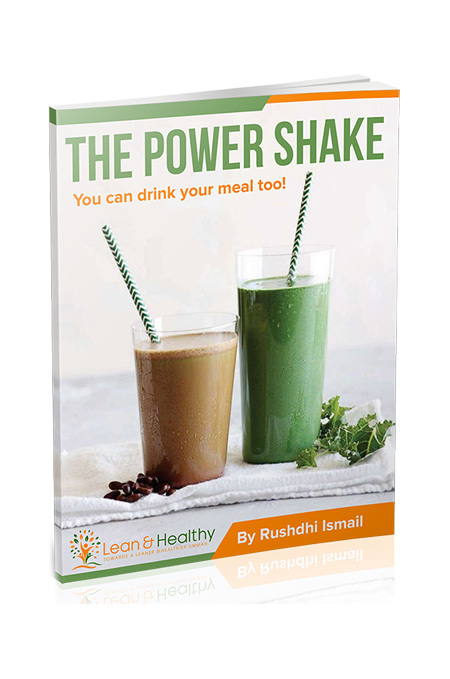 In this regard, I have written a 48-page Ramadan eBook to give you a practical nutrition and exercise guide for Ramadan. I hope this e-book will serve as a reminder of the priorities of Ramadan so that you can make positive food choices to make this Ramadan your best ever! Please feel free to send your comments and feedback to me.